It’s no secret that ERP and EPM upgrades can be a hassle. 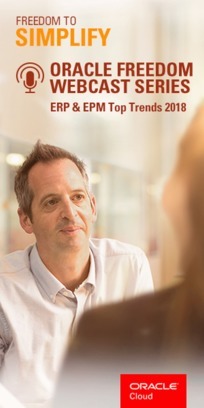 In fact, avoiding these upgrades is one of the top 5 reasons organisations choose to move their ERP and EPM systems to the cloud, according to Oracle. Watch this webcast to find out why so many organisations are migrating to the cloud, and how it can help you cut costs while saving time.